Top scholars synthesize and analyze scholarship on this widely used tool of policy analysis in 27 articles, setting forth its accomplishments, difficulties, and means of implementation. Though CGE modeling does not play a prominent role in top U.S. graduate schools, it is employed universally in the development of economic policy. This collection is particularly important because it presents a history of modeling applications and examines competing points of view. 12.1 Introduction: what is GTAP and why has it succeeded? 18.2 Why do trade elasticities matter? 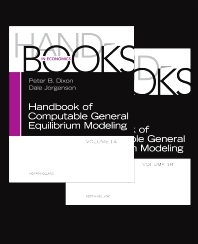 These are must-read bundle of papers about CGE modelling, which covers various topics within this area. Going through all these will definitely help develop a CGE modelling expertise.